We’ve recently submitted a proposal for Arts Council England’s Artists Taking the Lead project for the 2012 Cultural Olympiad. It builds on an emerging collaboration we have with mongrelStreet (mervin Jarman and Richard Pierre-Davis) as well as ideas around migration and narrative we have been working on for a few years. Trace Elements: Why are we who we are? 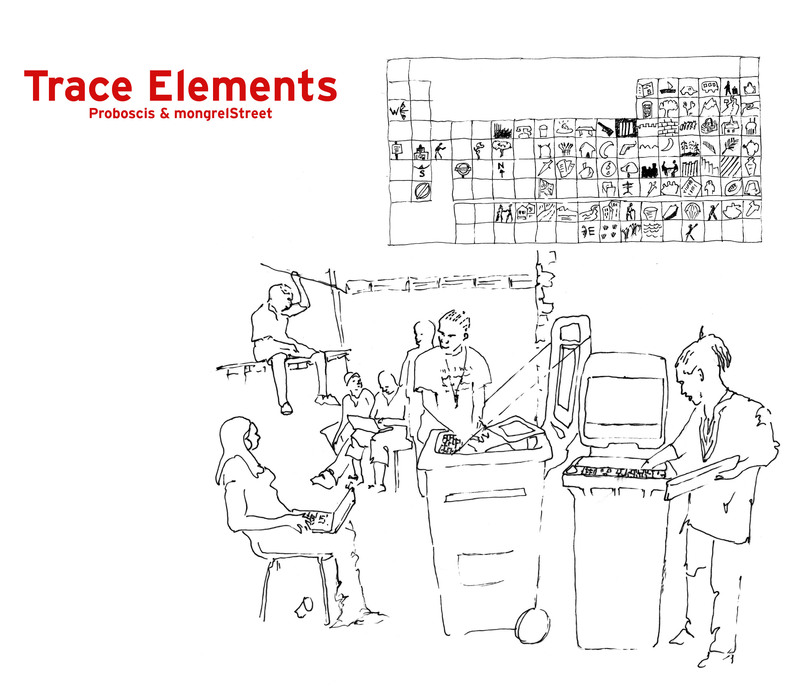 Trace Elements is an interactive and distributed artwork revealing the diversity of the journeys and migrations ordinary people make to live, work and play in London. Through words, images and symbols that convey these stories it will flow like a digital river through London’s public media spaces: generating a storyscape of endlessly changing combinations. It will allow both participants and audiences to form associations and connections between our lived experiences, hopes and aspirations as Londonders: a visual and poetic stream which we can fall in and out of. Trace Elements combines the creative inspiration and experience of two artist-led groups, Proboscis (Alice Angus, Giles Lane and Orlagh Woods) and mongrelStreet (mervin Jarman and Richard Pierre-Davis). It will be a multi-faceted project that grows leading up to June 2012 and beyond. It will involve creative research with communities across London to elicit their stories of how and why they have come to live here: what they have given up; what they have held onto; what they dream of; what their fears are. This will be used to inspire a narrative ‘periodic table’ of story elements: images and symbols that capture the essence of people’s stories and experiences. The story elements will become a simple interface for engaging people to share their stories in a visual and symbolic way and will also be used to generate automatic poetry for dissemination via social media tools such as twitter and text messaging. Using mongrelStreet’s iStreet Lab as mobile ‘stations’ for engaging with communities in their own areas, we will ‘recycle streetcorners’ into storytelling and sharing spaces, weaving a tapestry of social and cultural interactions across the city. iStreet Labs will also be sited in places such as airports, rail stations, parks and other public and private spaces to engage visitors, commuters and locals in sharing their stories. Audiences will be able to dive into the Trace Elements storyscape via media screens in tube stations, bus stops, rail stations, as well as via online and mobile media. With uncertainty and climate change at the forefront of local and universal concerns we want to work with the people of London to create something that crosses barrriers by bringing to light our collective struggles and our shared hopes. Trace Elements will emerge as a magnificent reflection of the creativity, hope and determination of human spirit that has brought so many people here.